Style Files: Anne Black + GIVEAWAY! 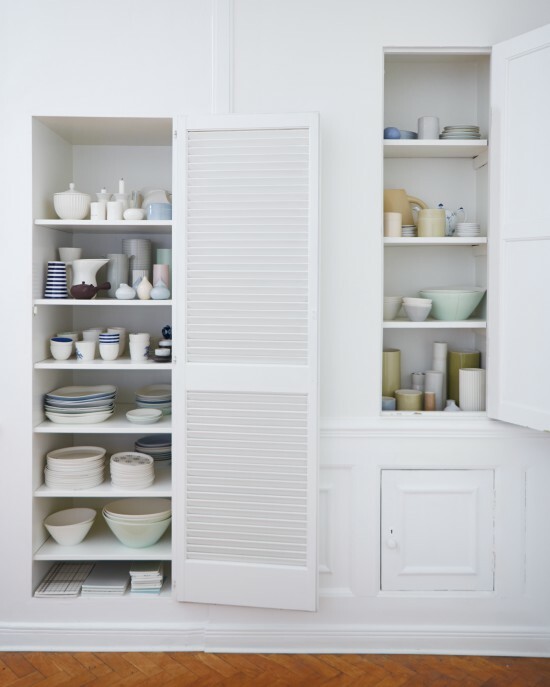 One glance at my Pinterest boards and you’ll see I’m into ceramics, in a big way. I always feel a little buzz of pleasure each time I add a beautifully hand crafted ceramic piece to my growing collection and love how each piece has a story. I picked up the most beautiful hand made ceramic plate at a small studio we drove past during our honeymoon in France and though it was a pricy item, it will be forever treasured and will be a reminder of those perfect few days together in the French countryside. 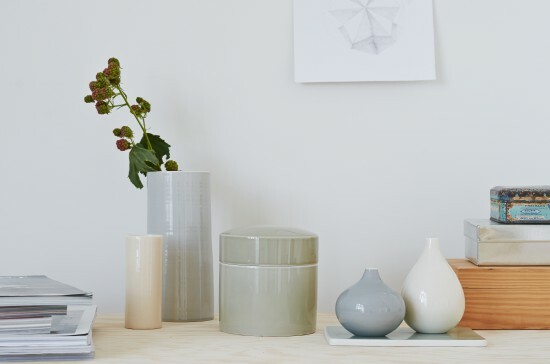 When I was recently introduced to Anne Black ceramics, I instantly loved her collection of simple yet stunning ceramic pieces. As I love nothing more than learning about makers, their craft and process, I couldn’t help but shoot some questions over to Anne and find out more. 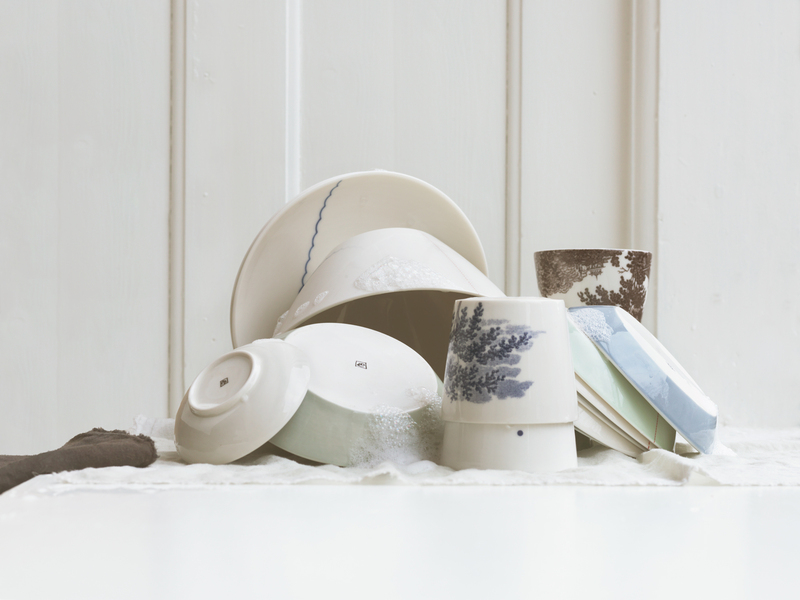 Hope you enjoy this little peek into the world of Anne Black today, and be sure to enter the giveaway below as we have a beautiful ceramic piece up for grabs! // When did you start taking an interest in ceramics, and what is your background? I went to Waldorf School as a child and different craftsmanship was a part of school life which I always liked a lot. Such schools focus on hands-on activities that encourage creative play. So I was quite comfortable with making clay things at an early age. After graduating, I went to the design school in Kolding (a town in Denmark) and graduated in 1996 with a master in ceramic design. 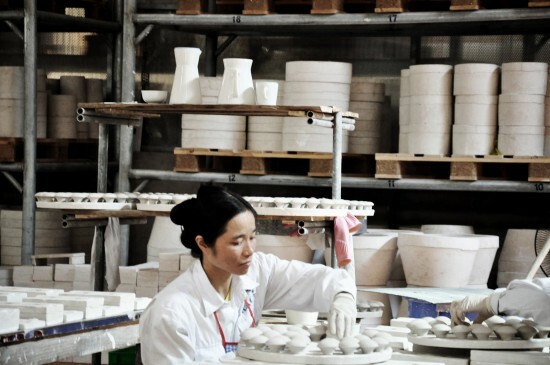 Actually I was told many times that I could never make a living being a ceramicist. That was a perception of ceramicists in those times. I am not saying that it was easy and I had other jobs to support myself, but I guess the dreams will always win if you don’t give up on them. // How would you describe your aesthetic and how did you develop your own unique style? I tend to describe my work as handmade, simple, silent, Nordic… My style is an expression of me, it is like my own language I communicate in. I just make the things in a way I like and I guess my aesthetics is a reflection of my personality and my life. 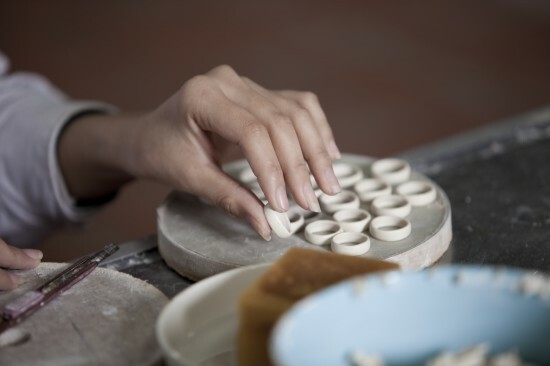 // Your pieces are hand crafted in Vietnam. What is the story on how your factory there cam about? Can you tell us a little hit about the people who work there? After the positive response from the market, I started to make more and more porcelain pieces. At first everything was made by hand in various workshops in Copenhagen, but at some point I could not keep up with the demand anymore. On the one hand I really wanted to make everything by myself, but on the other hand I simply could not make so many pieces. So for the next 3 years I literally travelled the world in search of a workshop, which would match the way I work and be focused on handcrafted, non-industrialized production and high quality. 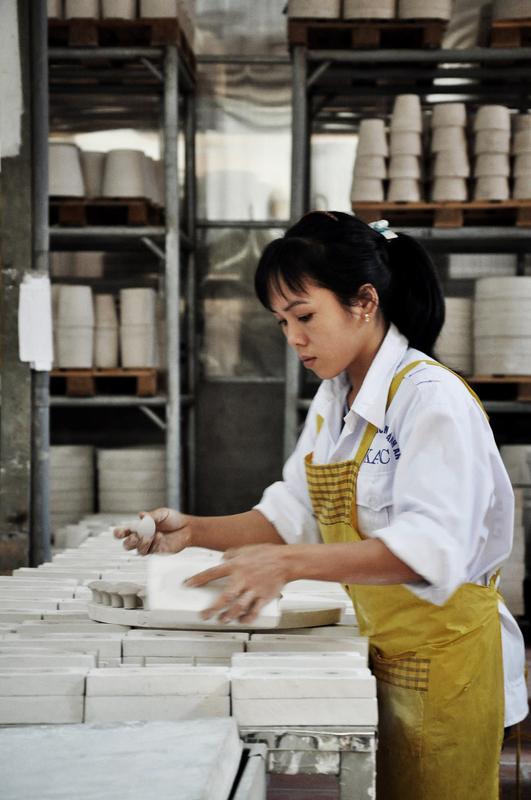 The solution was hiding in a small village in the North of Vietnam, where we have established a co-owned factory. The factory was developed in collaboration with DANIDA (a part of the Ministry of Foreign Affairs of Denmark focusing on development assistance and help in developing countries) and made conditions for the workers and the quality of production so much better. I visit the factory, which is located outside of Hanoi, twice a year and it is always a great joy to work with people there. With most of them I can only communicate with a help of body language but still here is a feeling of understanding and I love these trips. I design new products in my studio in Copenhagen, travel to Vietnam to share it with local craftsmen and they reproduce the design by hands. We have been working with these people for almost 10 years now, and the owner is like extended family for us. 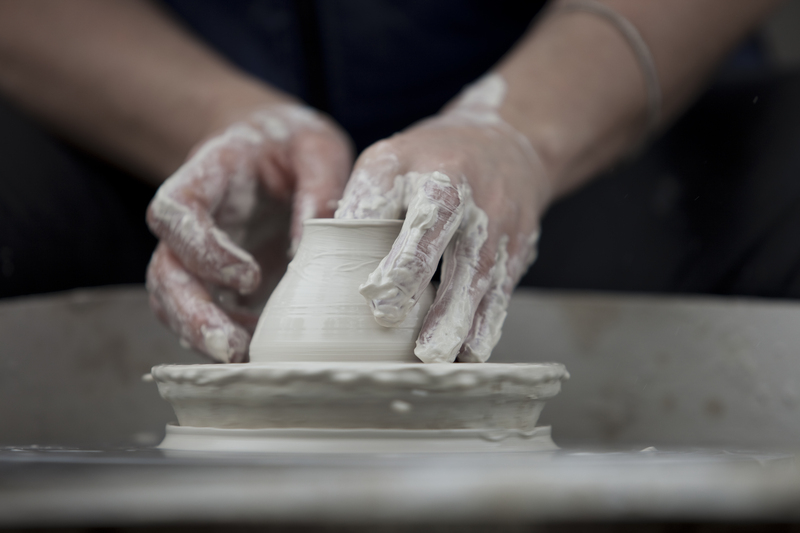 // Was a career centered around ceramics a long standing dream for you? I think I always somehow knew that I wanted to create beautiful things with my hands. It was while working on my final project in Waldorf School about Chinese art when I completely fell in love with porcelain. I applied to the design school to explore the world of clay quire early and was way younger than majority of other students. From that day it just became more and more obvious that I was going to follow that road. // You work a lot with whites but also pastel tones. How would you describe your relationship with colour? In a world full of noise for our eyes and ears I try to make some quietness with my designs, both with shapes and colors. Our lives are filled up with too many different things and I want to fill it with new items only if they bring beauty and calmness. // What or who inspires your creative process? How do you channel your inspiration? The daily life is my main inspiration. 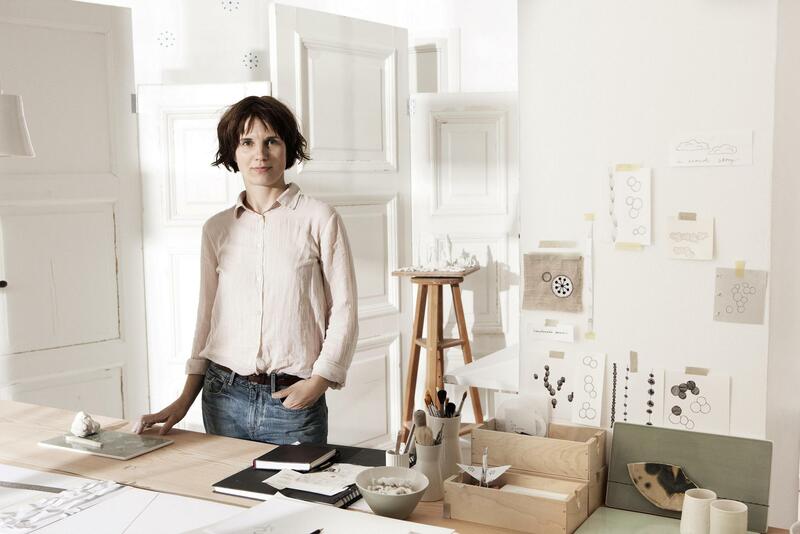 My surroundings, my city, my work, the skies, the light… Working with different materials in the shop is also very inspiring and it is reflected in my porcelain design. I also display beautiful goods in the store and at home. It gives me great joy to look at something beautiful and therefore I always aim to “create beauty” in my surroundings. // What does a typical day look like in the life of Anne Black? In my life, there is no such thing as a typical day. Every day is so different. I run back and forth between the shop and my studio. I develop new designs and spend a lot of time on creative tasks, but I also have quite a lot administrative work both with the shop and porcelain products (sold under Anne Black brand). I handle the customers and have a lot of meetings, arrange exhibitions, handle PR-related activities, travel to buy the goods for the shop. And then I have three kids, so every day I’m trying to be a good mom. // What do you love most about your work? There are plenty of things I like about my work even when it’s hard, but what I love the most are moments where I am so deeply involved in the process of creation that I completely forget myself, time and space. I become so absorbed in the design process that it seems that nothing else exists. 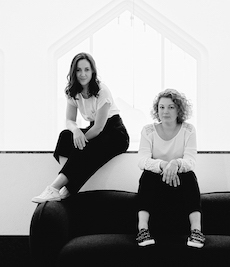 // You run a concept store in Copenhagen called Black. Can you tell us a little about this store and what kinds of pieces you stock? // What designers of today inspire you? There are so many! But of course I am very inspired by the different brands we work directly with in the shop. The uncompromising way they work with quality and materials is a great source of inspiration. As an example, I can mention Michele de Lucci from Produzione Privata (Italian company) and the design duo BCXSY from the Netherlands. // Can you share your 5 favourite places to eat and shop in Copenhagen? As I have a quite busy lifestyle, I usually stick to the places located in Frederiksberg area of Copenhagen. This is where my studio and the store Black are situated, so I almost only move around my little Frederiksberg “circle”. For a coffee I usually go to a cafeteria and coffee shop called Meyers Deli or a nice café Ipsen & Co, which together with Anne Black are located on Gammel Kongevej street. For a wine and a small delicious meal I prefer to go to a cosy restaurant Falernum on Værnedamsvej street. On the same street there is also a nice florist shop Blomsterskuret, where I usually buy flowers (flowers in Danish are “blomster”). When I need books, I go to the books store called Thiemers Magasin. If one is interested in jewellery, I would recommend the shop Æstetik on Gammel Kongevej street and for clothes off course I go to black! 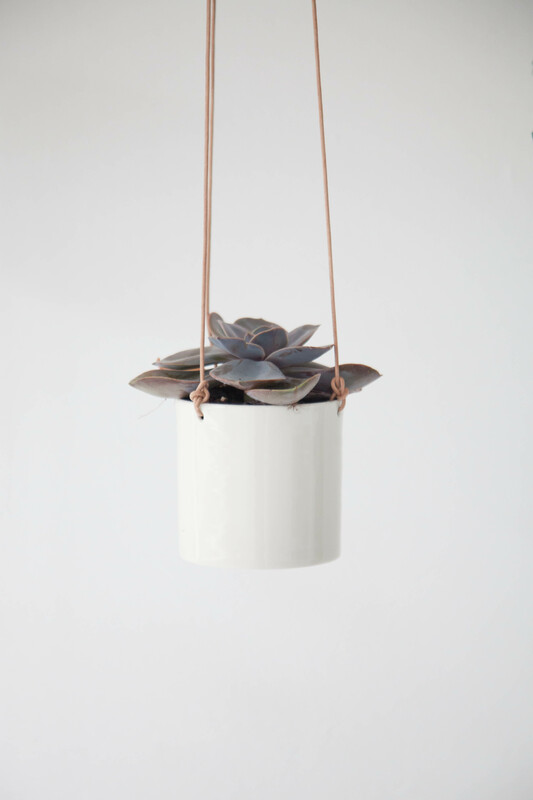 Would you like to win one of these modern ceramic hanging planters by Anne Black? There is ONE white hanging planter up for grabs! -> Comment below telling me where you would hang it in your home. Be sure to include your full name, email address and Instagram/Twitter handle so we can contact you if you have won! The winner will be announced on 1 April. Good luck! Ooh, pretty stuff! I’d definitely like to win that planter! I’d probably hang it in our livingroom, where me have glass sliding doors looking into the backyard. How perfect is this little guy! It would be hung in my little kitchen window looking out to my big backyard! We just got the house & are in the renovation stage so we have only bought 1 piece to decorate our house with (cute vintage green pots) and I think this piece will fit in perfectly with everything else I have picked out in my head! 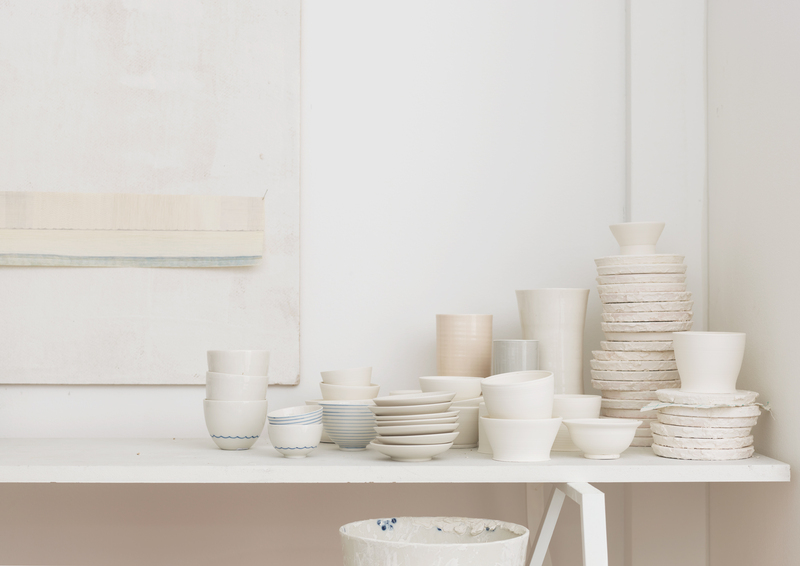 Hi – what a gorgeous story and lovely ceramics! Thanks for the giveaway. I’d love a planter for my kids playroom because they could use a bit of greenery in a safe (high) spot! I would love to hang this beautiful planter in my living room, between the two windows. That will look great! Love it!!!!! We just bought our very first own house! And it will be absolutely great if we can add this to our new livingroom! This is so beautiful! I’d hang mine in my bedroom window. Oh I adore this one! 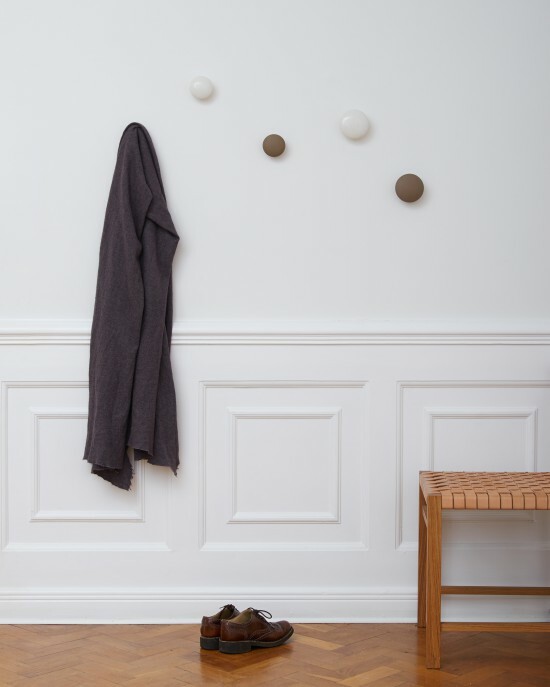 I’ve been searching for the perfect hanging pot for my kitchen (where I have no window boards) and instantly lost all of my interest in making a macramee one myself when I saw this one by Anne Black. So perfectly nordic and loud in a small and simple way. I hope I have got a chance to win this piece! Awesome work- so simple yet gorgeous! I would love to win so I could hang it next to the french balcony of our apartment where the spring light makes the atmosphere amazingly calm and relaxing. Wow! 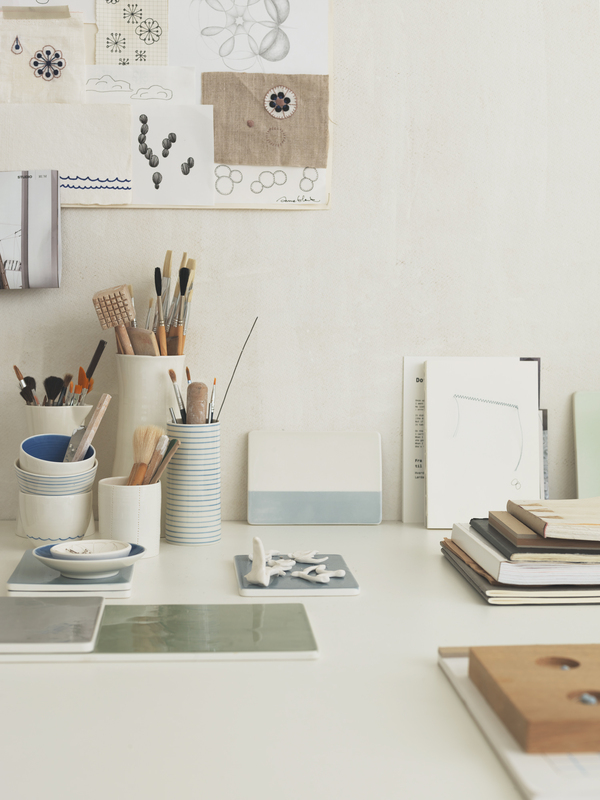 That gorgeous peace of ceramic would be a lovely addition to our new studio! It would look so pretty on the beams there! It would totally fit in with our scandinavian feel of the space! Wow this is so great. I would hang it right above my bed near the window. We have seen some fabulous plants to hang in our kitchen, but we are still searching for the perfect pot! Think we found it! This would look great in my kitchen. I’d hang it in the kitchen with herbs within! I would hang it in my living room! I would hang it in in my living room, in the nook between my piano and the sliding doors that go to my backyard, where I keep plants over winter. It’s about 2.5 feet across and I always refer to is as “my conservatory.” I think it would look beautiful floating over my scented geranium pots on the floor. Hang it in my living room in the corner by the window! I would hang this in my living room, next to a small window ledge that houses my string of hearts, a polka dot plant, and a few succulents…. I would find the perfect plant to live in this gorgeous planter!